DevOps culture requires increased communication between teams of development, quality and operation. 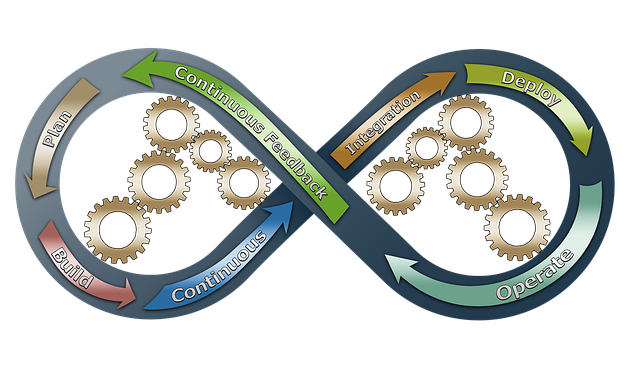 It also requires a centralized environment for the operation of DevOps practices automation cycle tools. Have you ever figured out how to manage thousands of machines or nodes on an enterprise infrastructure? And if you need to upgrade a software, will it go into each node? If so, you’re doing it the wrong way. Items such as startup, connection strings, paths, keys, and other associated variables are typical examples of configuration items. To make work easier and to leave everything safer and with less manual intervention, the use of DevOps tools are highly recommended. The DevOps culture requires increased communication between teams of development, quality and operation. It also requires a centralized environment for the operation of DevOps practices automation cycle tools. And to support these practices there are specific DevOps tools for increasing collaboration between teams. The DevOps culture requires developers to write quality code. In recent years, it has been possible to quantify what code quality is in a practical way. Often vague terms such as cyclomatic complexity, modularity, high cohesion, and weak coupling have become actionable metrics in simple tools like Visual Studio Code Review and SonarQube. It is impossible to work with the DevOps culture without properly managing the source code. And here we are talking about tools like Microsoft TFS (Team Foundation Server), Mercurial or Git. Git, which was popularized from the experience of the Linux community in keeping distributed development of its kernel. If someone enters a server and makes an improper change, the configuration manager will automatically make the correction and can generate a report of the fact. If any service that should have been active and was inactive, the configuration manager will automatically upload this service, without the need to trigger it. Installation of any service or tool (jboss, glassfish, jenkins, etc) will be done through configuration management and description of the group of nodes that should have that standard, avoiding installation and manual maintenance. Greater control of the machine park (physical or VM’s) with service SLA and low recovery. It results in high-performance teams making more frequent implementations and delivering projects on shorter deadlines. Lets you make changes with fewer errors and fix crashes faster. Config is an easy-to-use SaaS for managing configuration files across all your systems, apps, modules, environments and instances. 20% of net income goes to Scholarship America, a highly rated non-profit organization.